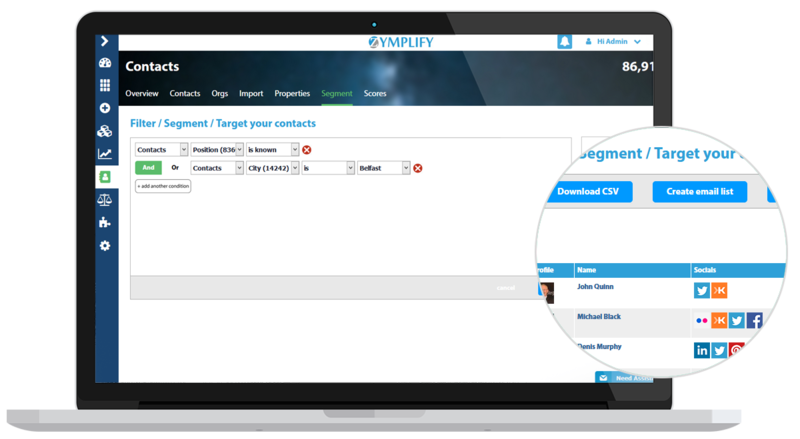 Contact management, fully integrated. And no penalties as you expand your contact database. 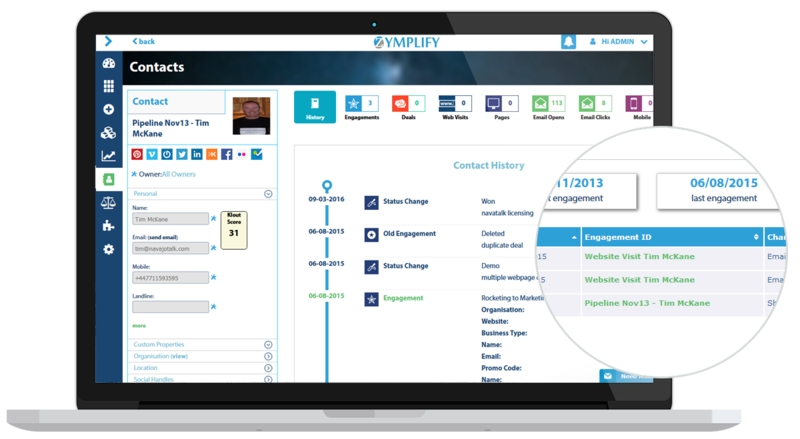 Build your contact CRM your way. Add or remove attributes and properties such as contact social media profiles, demographic characteristics, etc. and create custom fields. Filter/segment your contacts based on your unique requirements, then create email or mobile lists, or .csv downloads, for your campaigns. 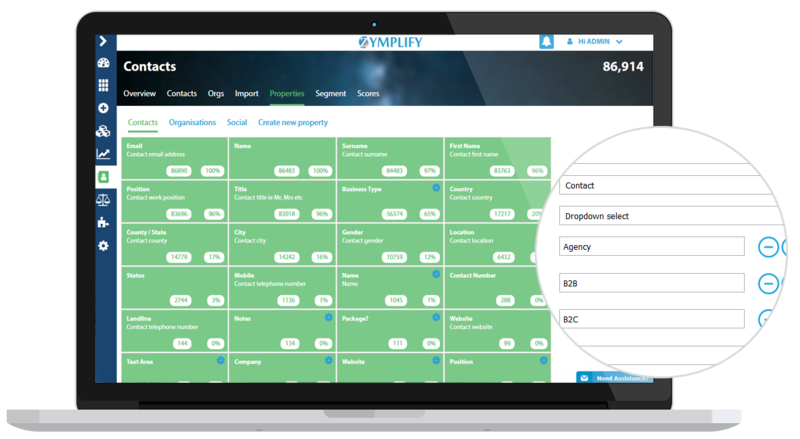 Each contact has a dashboard and audit trail of your activity with them and their engagements with you, so you can see exactly when and how they have engaged, including invaluable website page visits, downloads, etc. Stay focused on your most valuable leads. 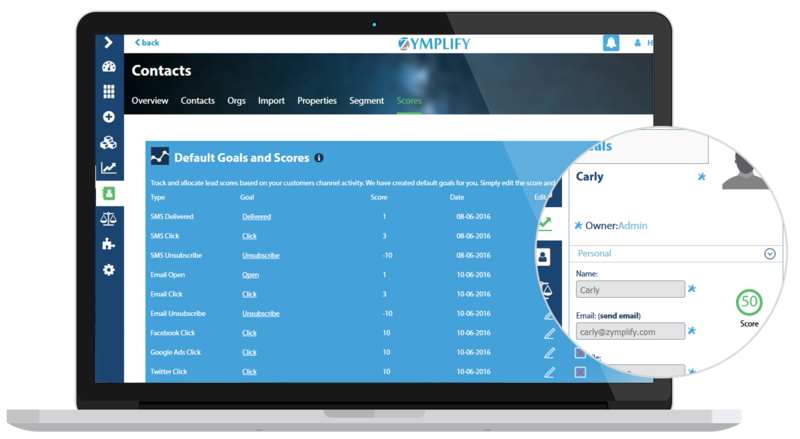 Use our default set or create customised lead scoring based upon activities. See which of your contacts is cool, warm or hot - set scores for click-throughs, social media likes and shares. 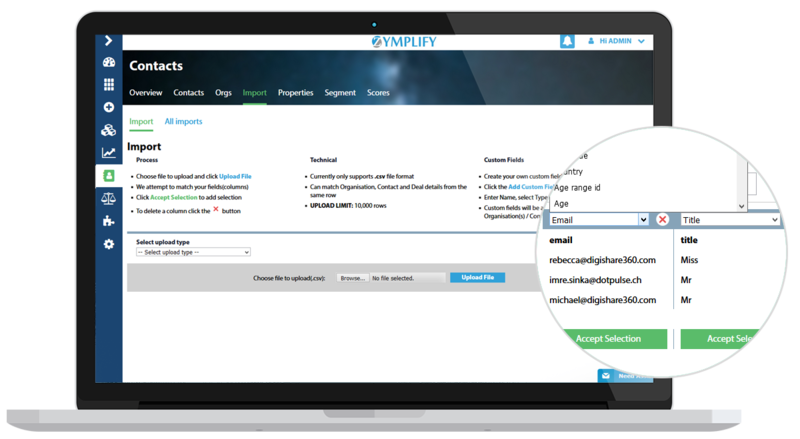 Migration made easy - upload .csv files with up to 10,000 contacts, from external sources. Create custom fields to match your preferred contact format.